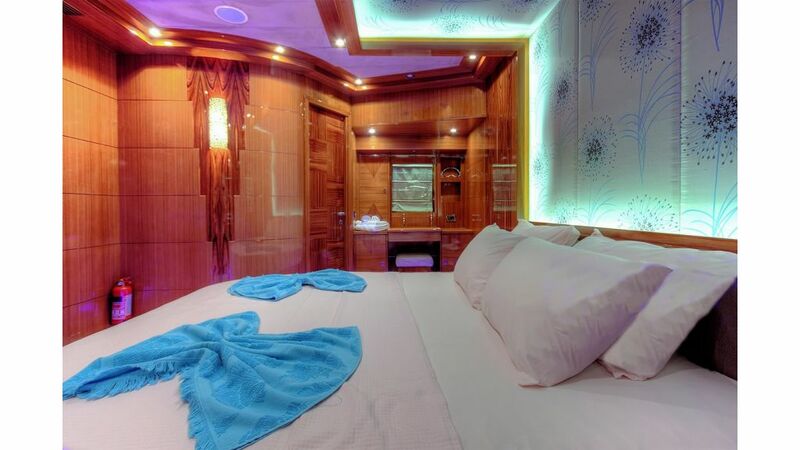 Luxury Sailing Yacht SILVER K offers comfortable accommodation for up to 8 guests in four double ensuite cabins located below deck. 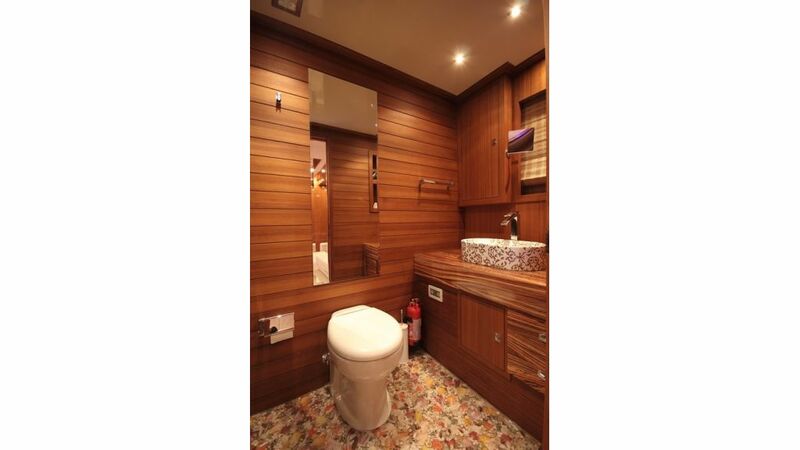 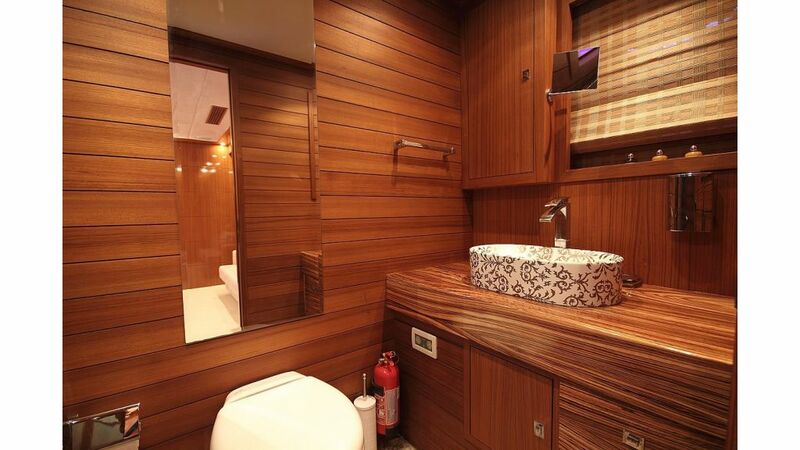 All cabins have spacious ensuite showers and heads facilities as well as plenty of storage, TV and hi-fi systems as well as a safe. 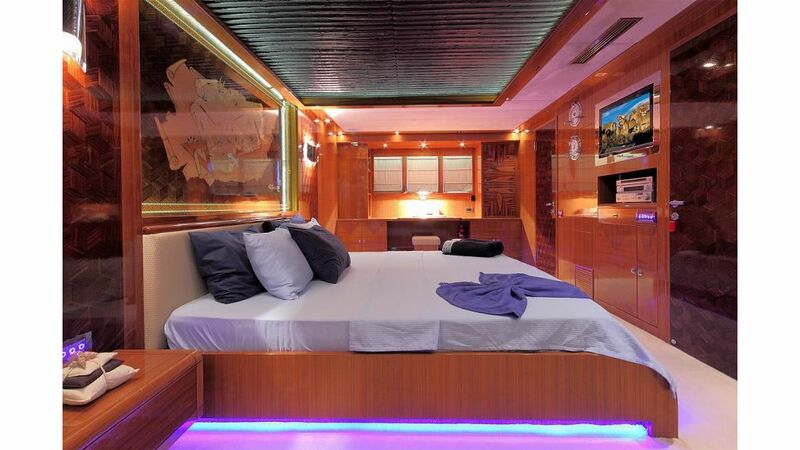 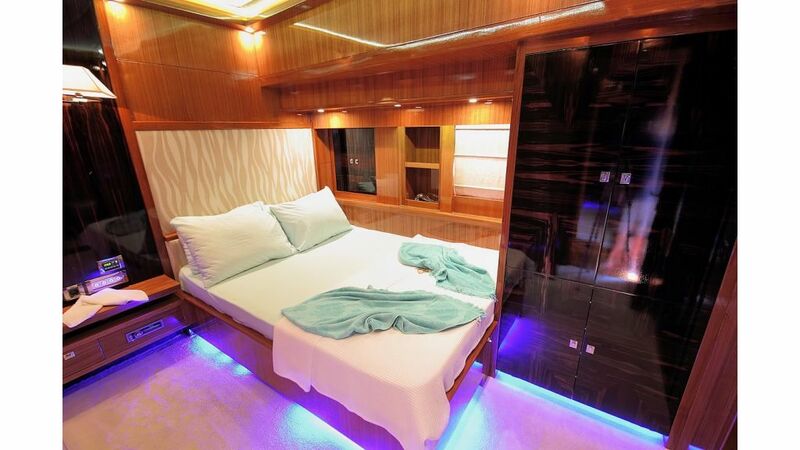 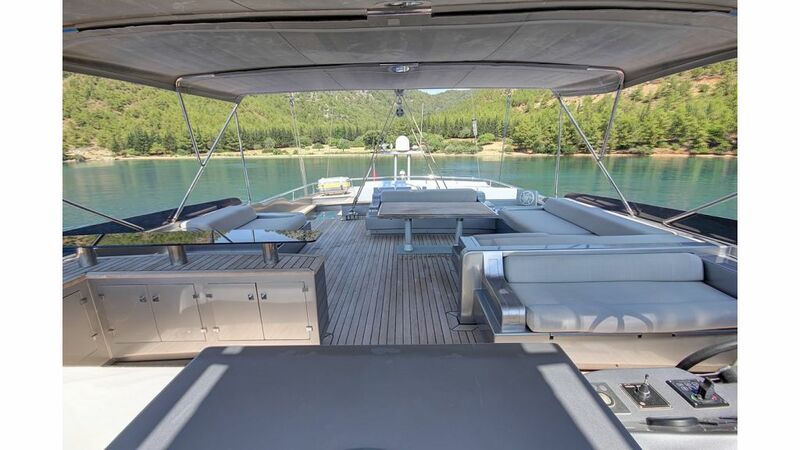 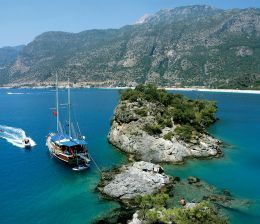 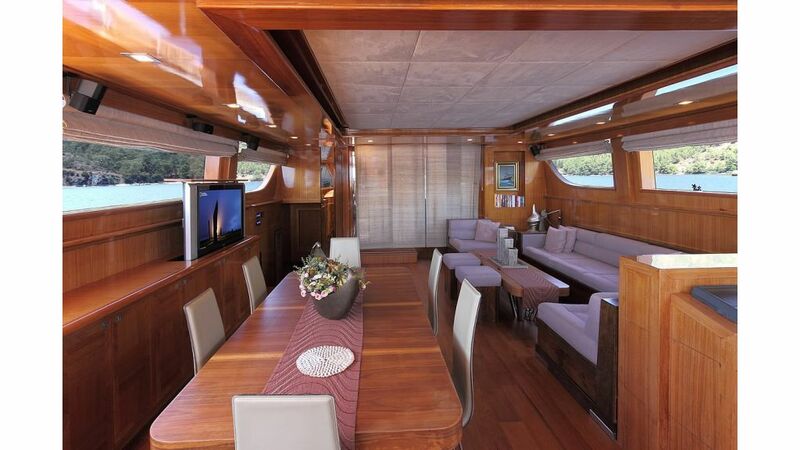 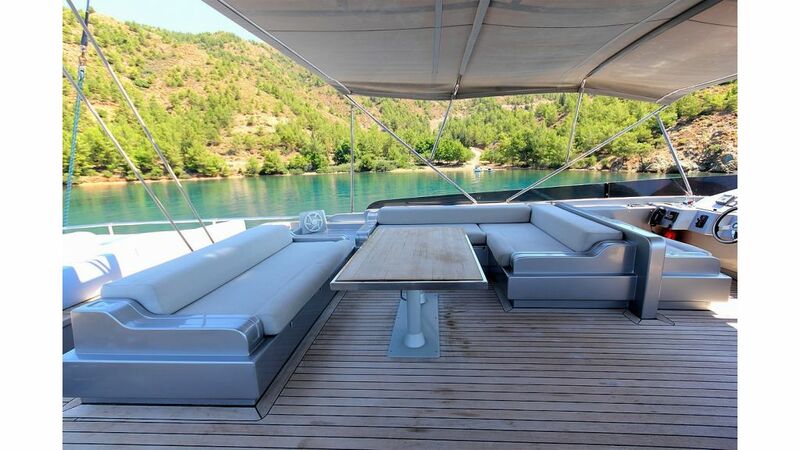 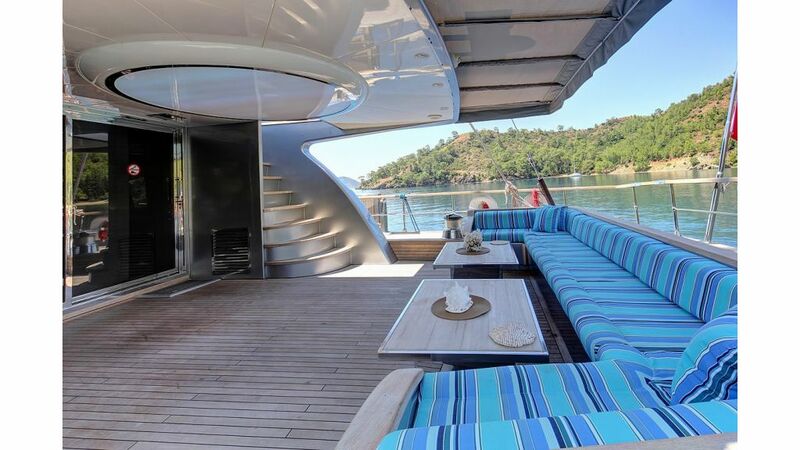 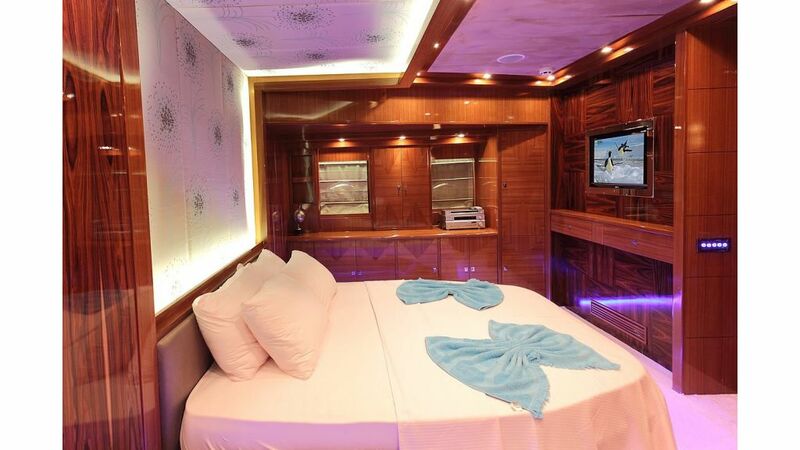 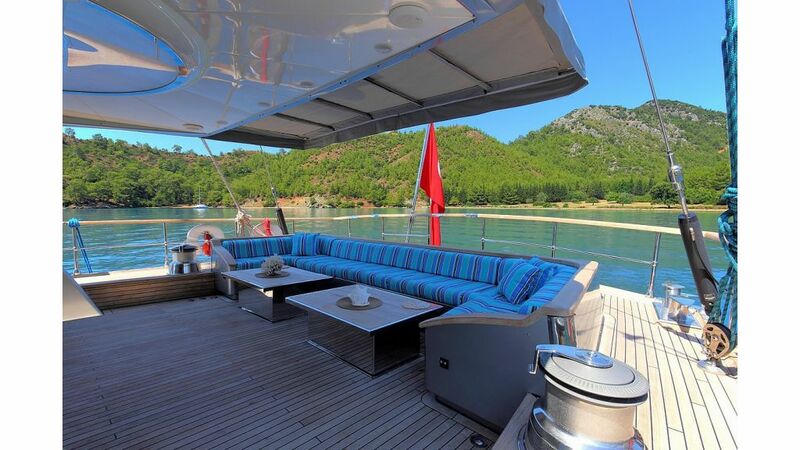 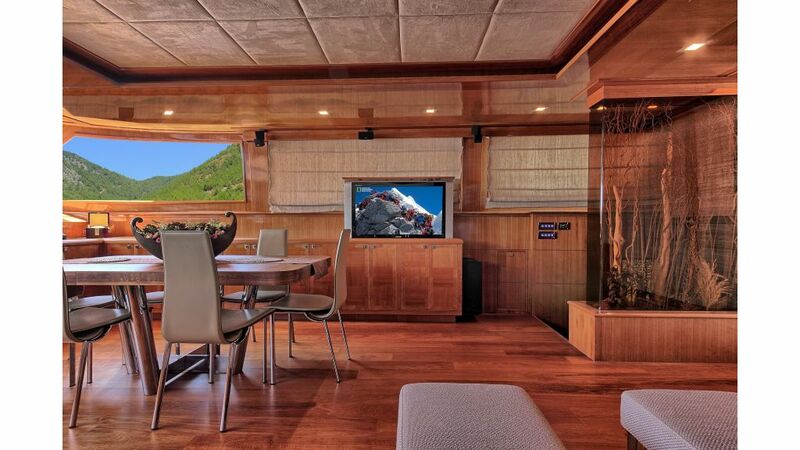 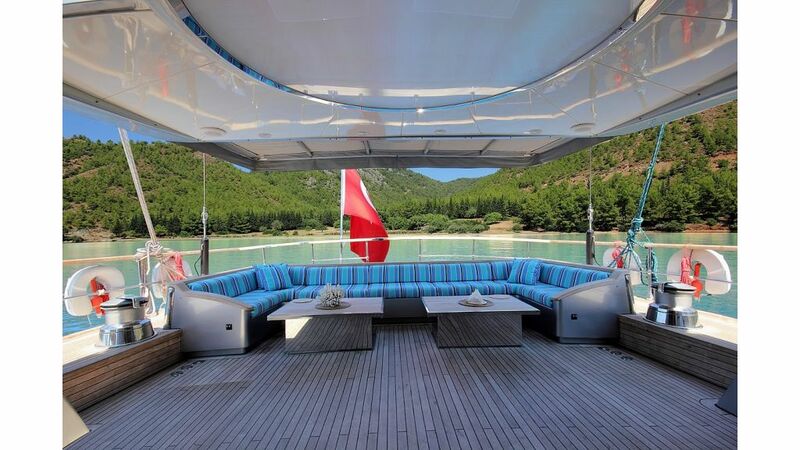 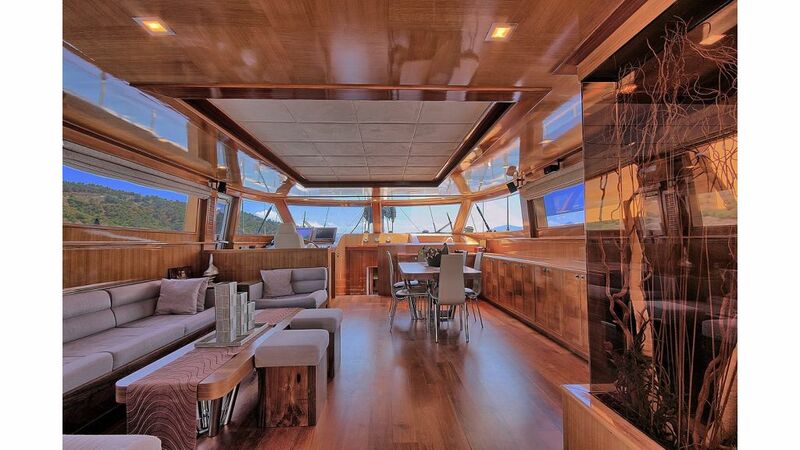 Luxury crewed charter yacht SILVER K is fully air conditioned throughout. 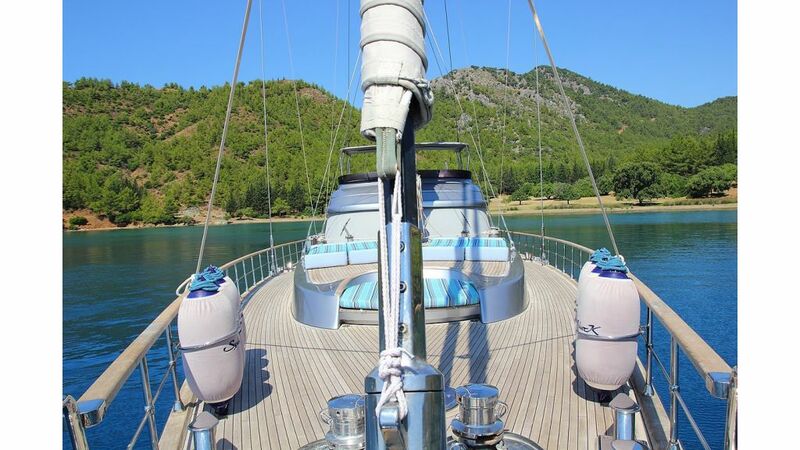 This is a non-smoking vessel. 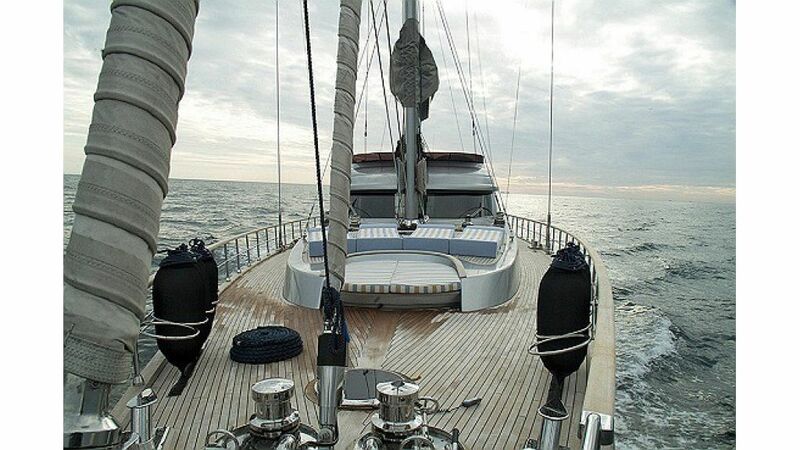 Guests may not be allowed to bring pets onboard. 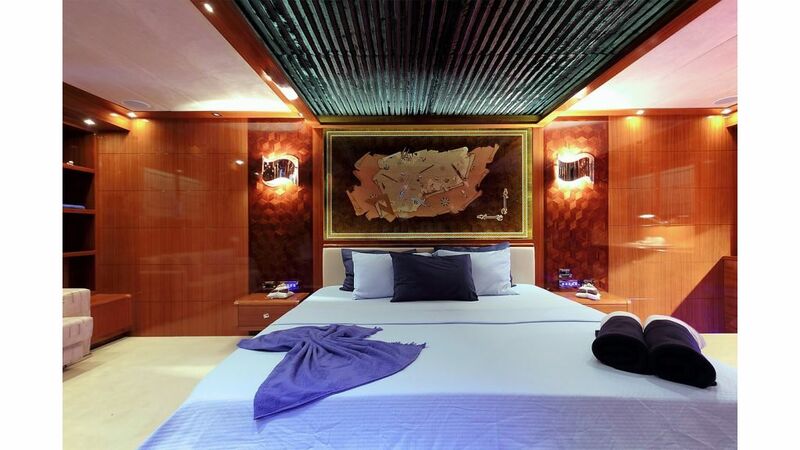 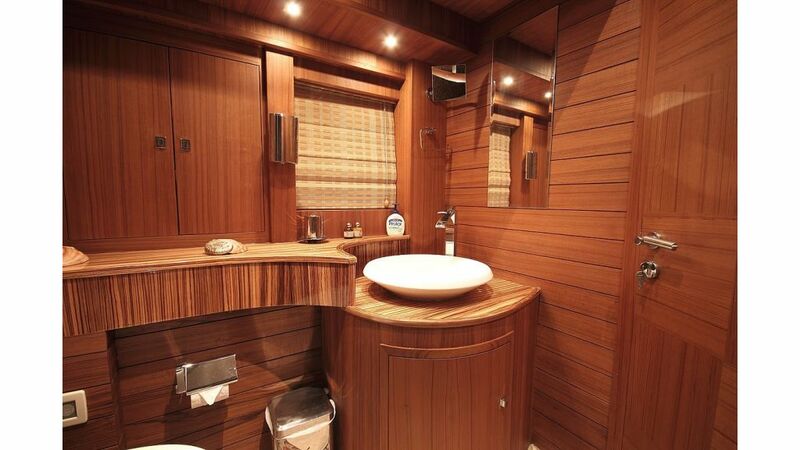 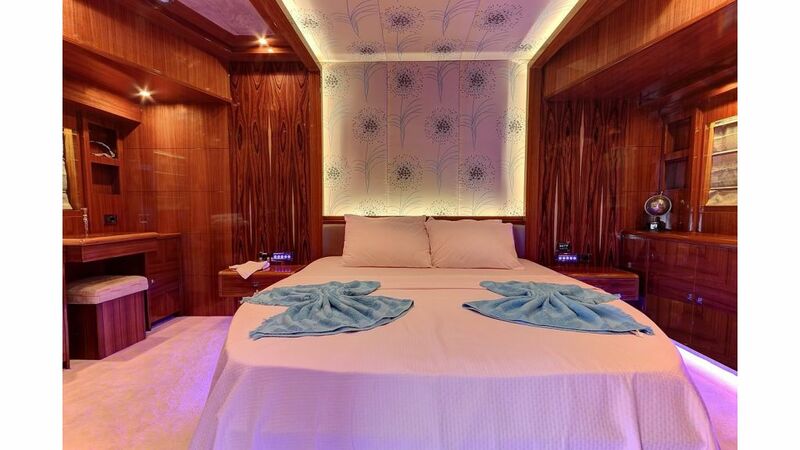 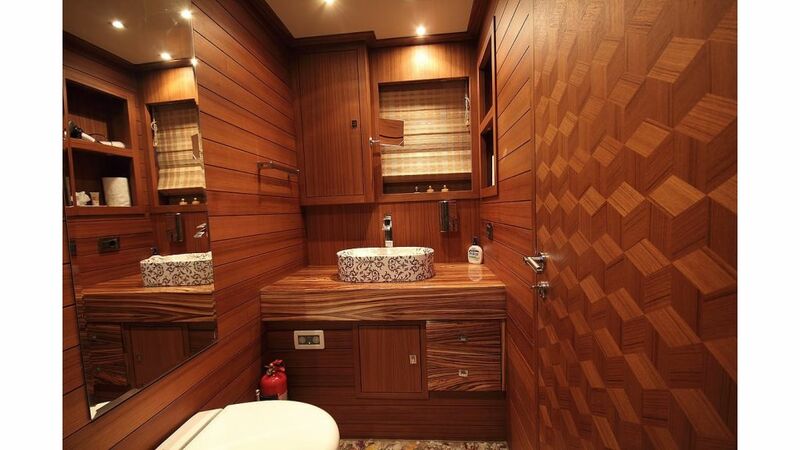 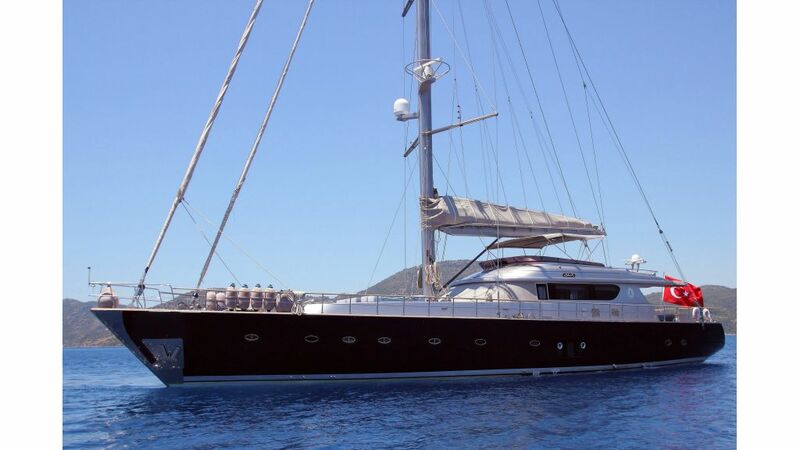 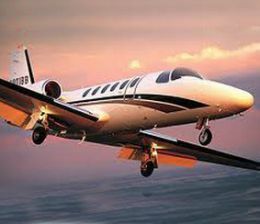 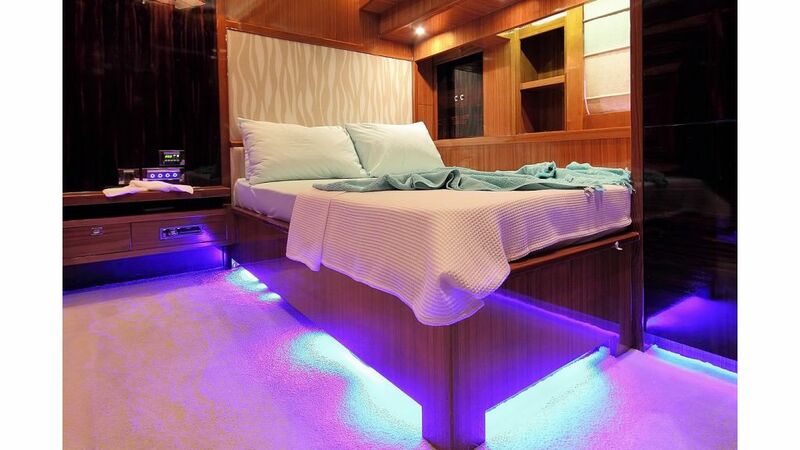 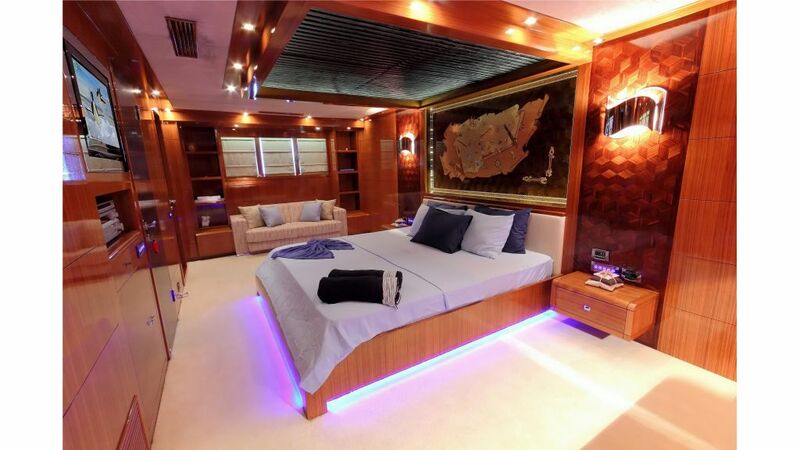 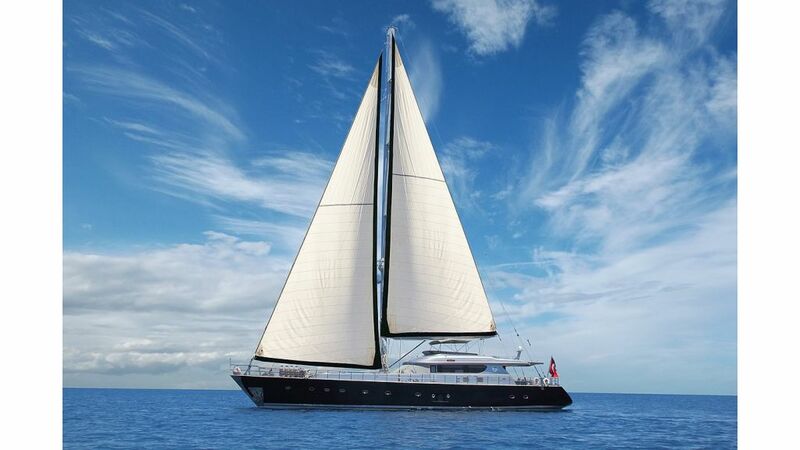 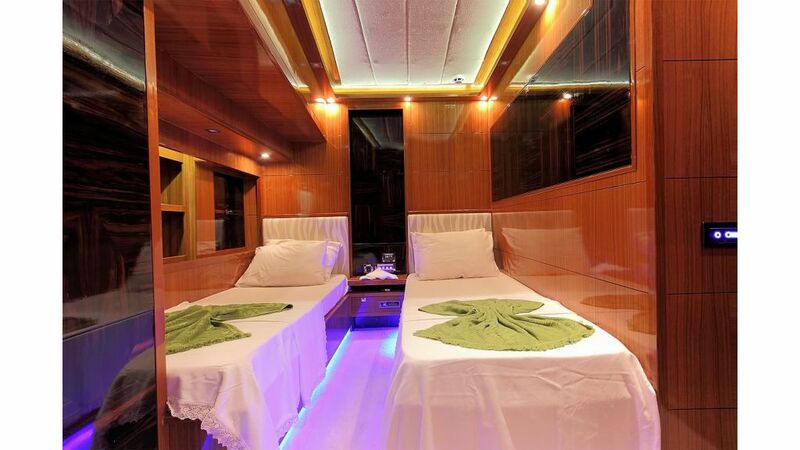 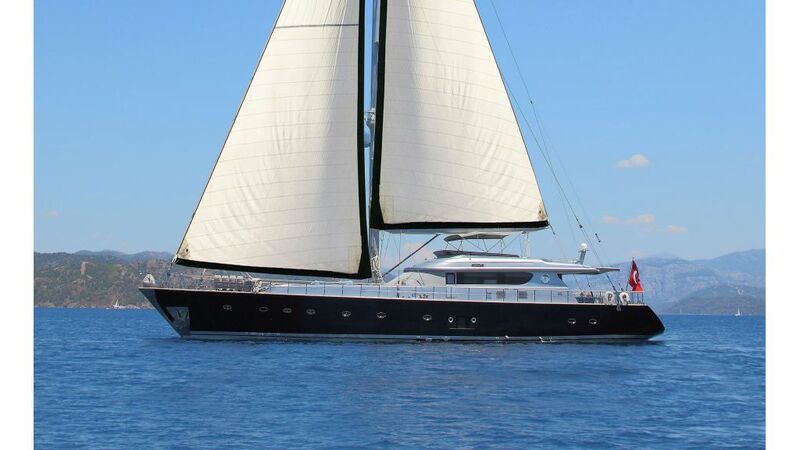 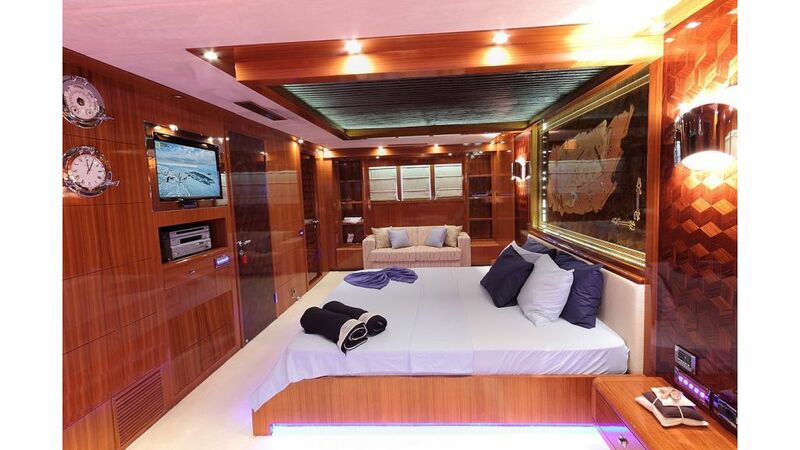 Her experienced yacht charter crew of up to 5 including the captain, have a separate head and shower facilities. 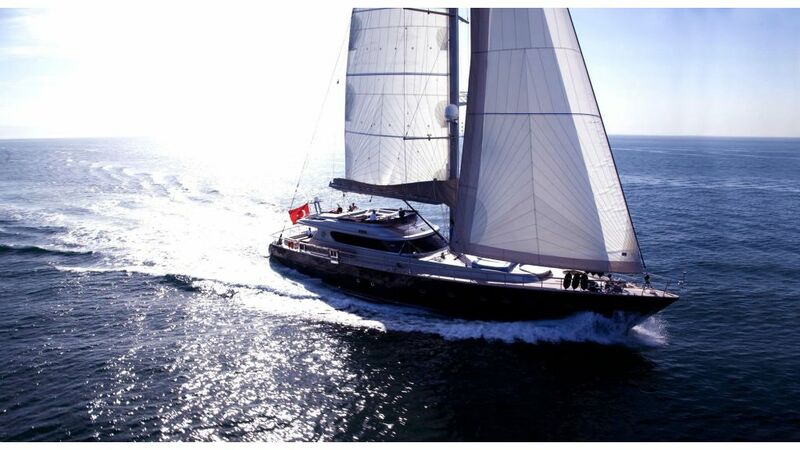 Performance Sailing Yacht SILVER K is a very sleek and beautiful looking yacht, which offers both good sailing speeds and excellent facilities for guests. 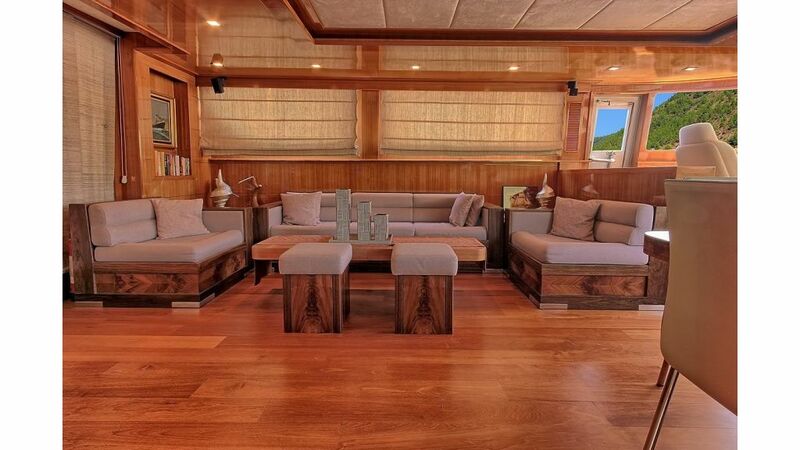 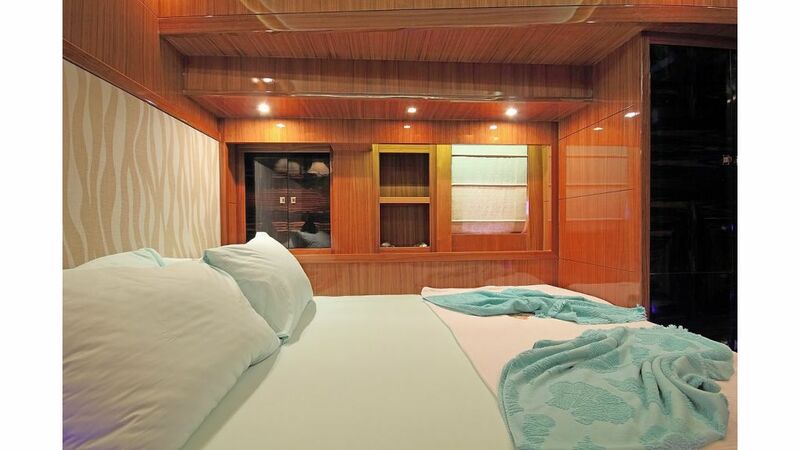 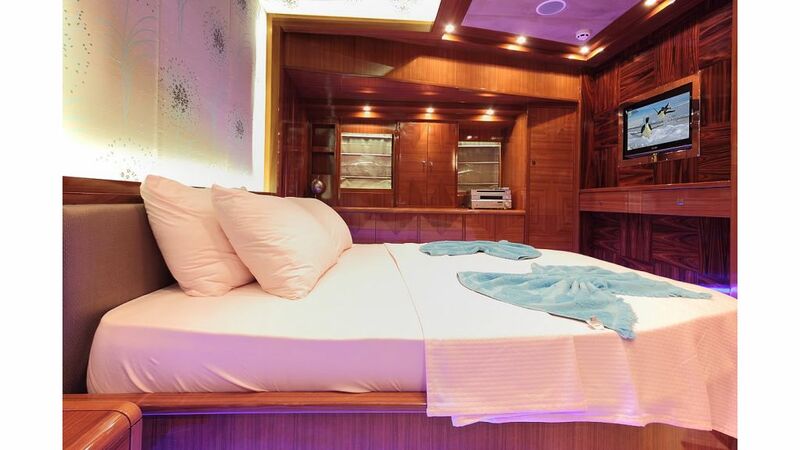 She offers a very spacious deck fully covered in teak, a truly splendid comfort within the guest accommodation and good sailing performance. 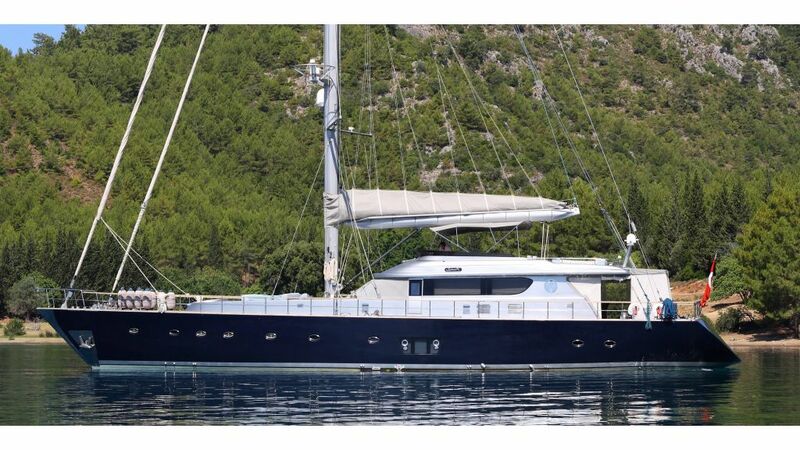 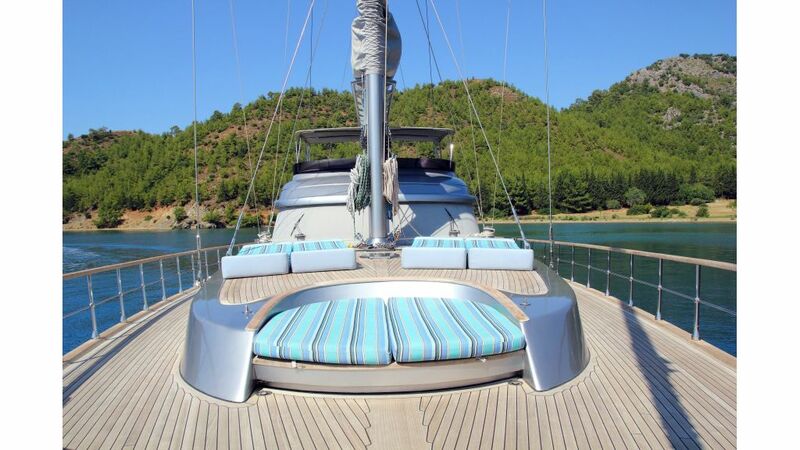 Her overall design is finalised with great attention to comfort, quality of finish and safety at sea.